We are excited to share that our Founder & CEO is featured in this month’s issue of Vanity Fair along with 25 other amazing women founders of color who have raised more than $1 million in outside capital for their organizations. Congrats to these these brilliant, groundbreaking entrepreneurs! 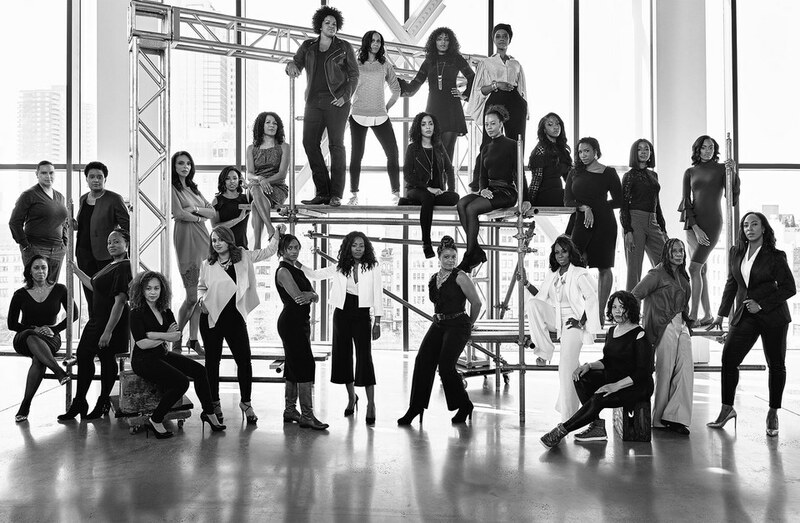 Last week, Vanity Fair posted the latest of their powerful “tableau” photo spreads – this one featuring 26 women entrepreneurs of color who have raised more than $1 million in outside capital for their ventures. I am so honored to be included (top row, standing on the far right) among these incredible women. The photo appears in Vanity Fair’s April issue, which hit the newsstands this week, featuring a cover story on actress and writer Lena Waithe, the first black woman to win an Emmy award for Outstanding Writing in a Comedy Series. My first reaction to being selected for this spread was pure, joyous thrill. Showing up in one of the world’s most influential magazines hadn’t even been on my bucket list. For a giddy moment, I basked in the glow of being counted among these brilliant, groundbreaking entrepreneurs. 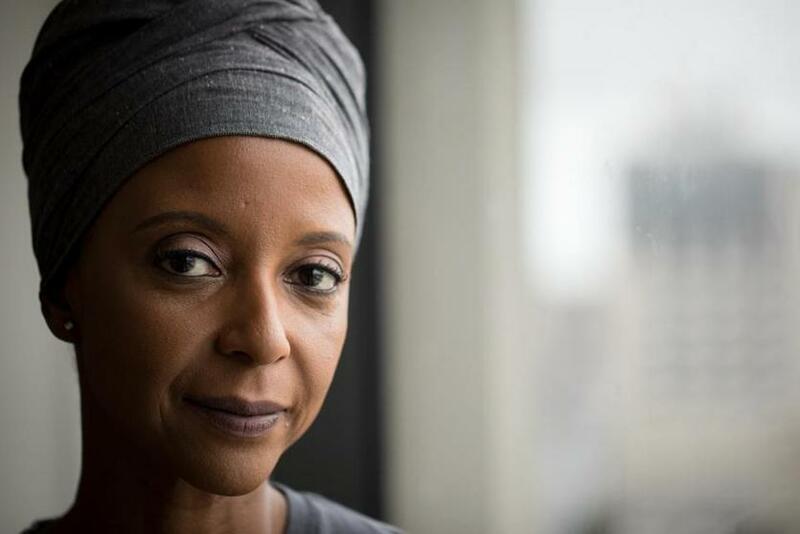 But another reaction quickly followed, a question: What if we—these women and I—could have seen a picture like this 20 years ago? Back then, there was no picture, literal or figurative, of what it would look like to achieve our dreams of creating an organization from scratch. As you may know, I was the first in my family to attend college. But that description only scratches the surface of the new ground I had to break, alongside so many other women of color. When the day came for me to begin college, my Haitian immigrant family traveled to Hanover, New Hampshire in a caravan 20 cars deep that included not only my parents but also my grandmother, younger sister, cousins, aunts, and uncles. We believed that the hard part was over, not realizing that the journey was just beginning. Unprepared for the academic and social world of an Ivy League school, I nearly dropped out. There was no picture in front of me to illustrate what success looked like, let alone how to get there. But I figured it out, with the boundless support of my family, my mentor, and a wonderful group of friends, graduating first from Dartmouth and then from graduate school at Stanford. Eventually, I decided to become an entrepreneur, so I could make it easier for first-generation students like me to succeed in college. That’s why I founded Beyond 12: our combination of personalized coaching and technology has allowed us to reach thousands of students annually, building on the invaluable support of their family, friends, and schools. Since our launch in 2010, we have raised more than $12 million from venture philanthropists, foundations, corporations, and individuals. I am so grateful to our supporters who believed in our vision and who have amplified our efforts in many ways – financial and otherwise. Our community’s sustained commitment has allowed us to coach approximately 7,000 students from under-resourced communities. What’s more, 88% of the students we’ve coached for four years have persisted through their 4th year of college – twice the national average for similar students. And this is just the beginning. We aspire to serve over 1 million students annually by strengthening our core infrastructure and programs, hiring key senior staff, and investing deeply in our technology platform and analytics. When I founded Beyond 12, there weren’t a lot of people who looked like me creating technology startups. I often wonder if I would have started sooner and reached more students earlier if I’d had more role models. I know for certain that I would have been more confident, that the road would have been smoother and less lonely. And I believe that one day soon, they too will be included in a gorgeous photo spread that will feature far more than just 26 of them. We are thrilled to have our story featured in the Boston Globe, our founders’ hometown newspaper, and honored to have the opportunity to pay it forward through technology-based coaching so our students are able to overcome the hurdles our founder faced as a first-generation college student. I am still buzzing a bit from the experience of seeing the front-page story in today’s Boston Globe that profiles Beyond 12 and my own difficult journey to succeed in college. The response we’ve received has been overwhelming — our story is resonating because it’s the story of so many students in this country. As many of you know, first-generation college students today face many of the same challenges I faced when I was in college. It’s a cycle we haven’t been able to break for decades. But that’s changing. Beyond 12 has a systemic solution. We can now reach students exactly where they are with solutions that combine committed and knowledgeable coaches with easily scalable, go-anywhere technology, to help them thrive in college and beyond. We’re already reaching 50,000 students, and that’s just the beginning. Our goal is to grow Beyond 12’s reach to serve over 1 million students annually by 2025. We know how to solve the challenges our students face, but we can’t do it without your continued excitement and support. I hope you will check out today’s article and spread the word about the work we’re doing. Thank you for your support. I’m excited to keep the momentum going together! With amazing partners like Achieve Atlanta, students from Atlanta Publilc Schools (APS) are sure to succeed in college and beyond. It is an honor to work with Achieve Atlanta to ensure our students translate their college acceptances in college degrees and meaningful employment. We are proud to be a Battery Powered “Education to Workforce Pathways” awardee and thrilled to receive a $198K investment to enhance our high-tech, high-touch coaching program. Congrats to the other awardees and finalists! Beyond 12 is hiring and we need your help to spread the word! We are transitioning from outsourcing our product development to building an in-house product and engineering team, led by our amazing VP of Products, Christopher Co, and we are looking for a Principal Architect. This is a crucial role for us as this person will be responsible for envisioning and executing a technology strategy that capitalizes on our unique high-tech, high-touch approach. S/he will strengthen our core products as well as design and build a predictive and prescriptive analytics and machine learning platform. Our Principal Architect will also have the opportunity to hire and manage a growing engineering team. If you (or someone you know) are dreaming about effecting social change at scale by using your proven, hands-on technology skills and love for problem-solving, and want to do so as part of a fun, dynamic, and diverse mission-driven team, please let us know! For more information, see https://beyond12.workable.com/. Please join us in congratulating Beyond 12 board member, Barbara McAllister Whye, Deputy Director of the Diversity in Technology Fund at Intel, for being named “An Inspiring Woman of South Carolina.” The award was created to recognize remarkable women and celebrate their contributions to the state, region, nation and world. Since the program’s inception in 2011, 30 women have been recognized. Barbara joins an outstanding group of women, including Leeza Gibbons, Mignon Clyburn, Gloria Gaynor, and more. Read more. We are so pleased to share this INCREDIBLE TED talk from Beyond 12 board member, Shonda Rhimes. Shonda discusses the impact of her “year of yes”, a time when she decided to say “yes” to all of the things that scared her, made her nervous, or took her out of her comfort zone. In this TED talk, she discusses how one particular “yes” practically saved her. It’s a must watch. Read More. Beyond 12 is launching a search for a Chief Operating Officer. We are looking for a dynamic leader, gifted people manager, and experienced systems builder to play a critical role in helping us grow our impact. If you are dedicated, passionate, solution-oriented, and fun (yes, fun! ), and understand that it is a privilege and honor to do this work, we’d love to hear from you! Beyond 12 is thrilled to be on the 2015 NT100 list, Nominet Trust’s annual celebration of the people and organizations using digital technology to change the world for the better. We are honored to be one of the 100 organizations on the list and humbled to be in the company of amazing organizations like Embrace, Hack the Hood, Task Rabbit, and so many others. See the full list here and read more about Beyond 12’s entry here.